Neon colours are very intense even in daylight, but their special charm is especially visible in blacklight. All eyes will turn to you when your lips shine brightly on the dance floor or when your eyelashes suddenly start to glow. This effect looks also really cool on nails and hair. 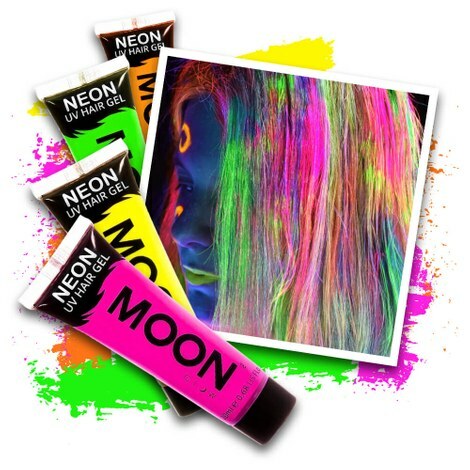 Evenlights offers you a full range of neon make-up for maximum fun. Explore the many applications of body paints in neon tones. Incredibly fantastic designs are possible with these colours.